Environments: *This memo doesn’t include VirtualBox and Vagrant install procedure, Please refer other articles. 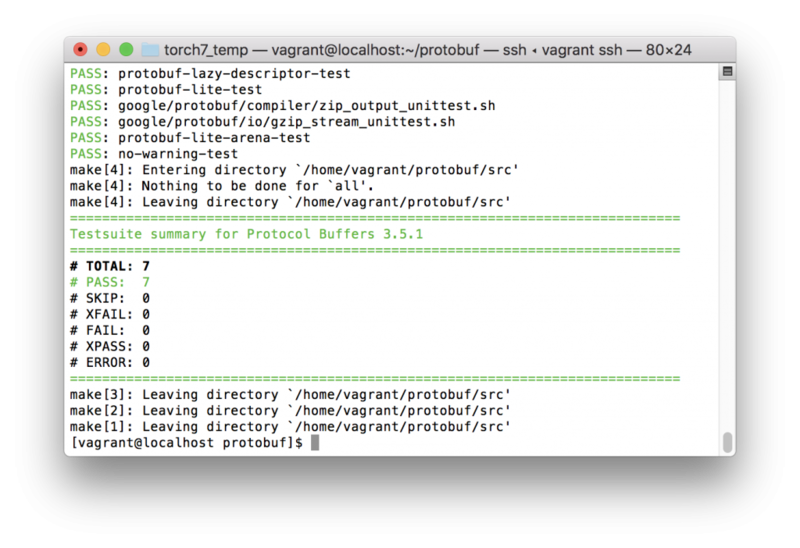 Modify the Vagrantfile like below. 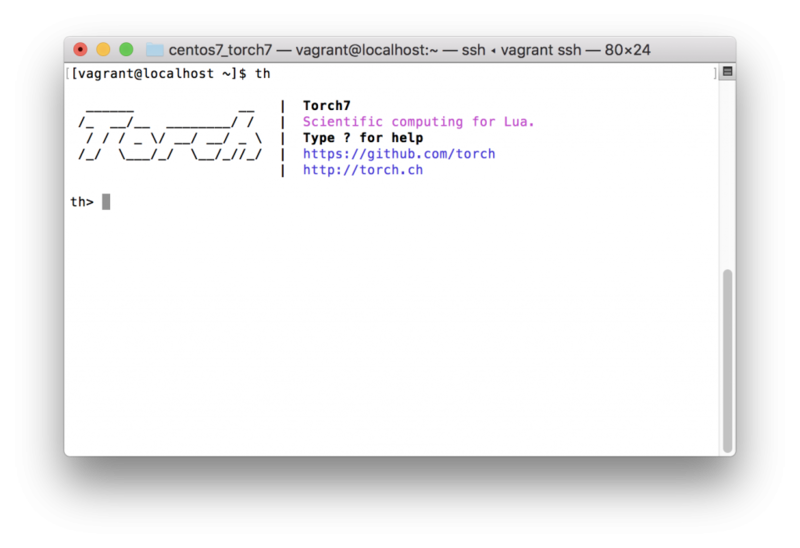 config.vm.synced_folder "./data", "/vagrant/data", type: "rsync"
After login, first update packages, then install Torch7. see detail. Protocol Buffers – Google’s data interchange format. To use VGG ILSVRC-2014 19-layer, install loadcaffe.